Are you tired of the way your patio looks? Do you want to remodel the area without having to spend too many resources and consequently contributing to the betterment of the earth? Green patio options are the best way to create your own environmentally friendly patio. You don’t even need to completely re-do your space to make it greener. 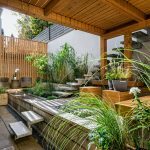 If you are out of ideas, then this article shares ten different patio options to make it more environmentally friendly. Adding a deck to your outdoor area is a fantastic idea, particularly for those who want to expand their living space. 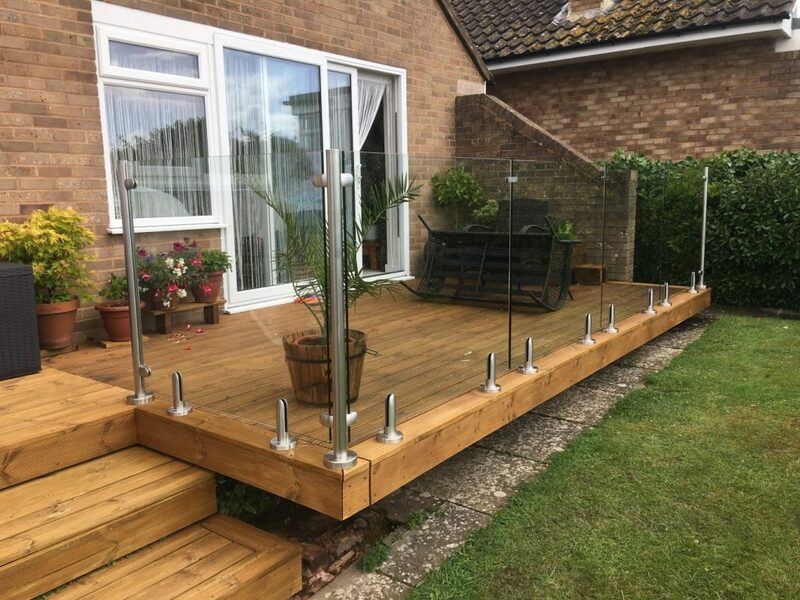 It can be useful in the summer days when you want to spend time outdoors enjoying the fantastic weather or wish to entertain guests in your garden. 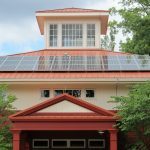 How can you make the new construction eco-friendly? Well, by using earth-friendly products such as reclaimed wood. 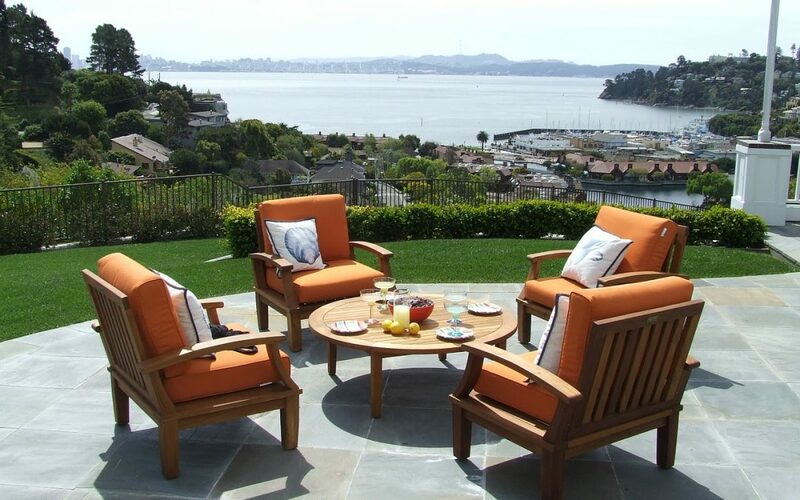 Another way of remodeling your outdoor space is by adding furniture. You can add a patio set, wooden benches, tables, chairs to sit by the pool, and lounger beds. There are tons of ideas but make sure the furniture you choose is eco-friendly and has “sustainable” mentioned over it. Suitable material choices include acacia, larch, reclaimed beech, and recycled aluminum or plastic. Also, look for an FSC certification label to contribute your part in the protection of endangered trees and forests. A smart way to purchase cost-effective furniture is to look into garage and boot sales. You may be able to find second-hand furniture which can be remodeled and repainted to give a new look. Buying second-hand is an eco-friendly habit, and you can find some amazing pieces! A patio without entertaining options for your guests doesn’t seem complete, does it! Well, you can even choose greener options for outdoor cooking such as eco-friendly BBQ grills. Look for grills that give off less smoke. 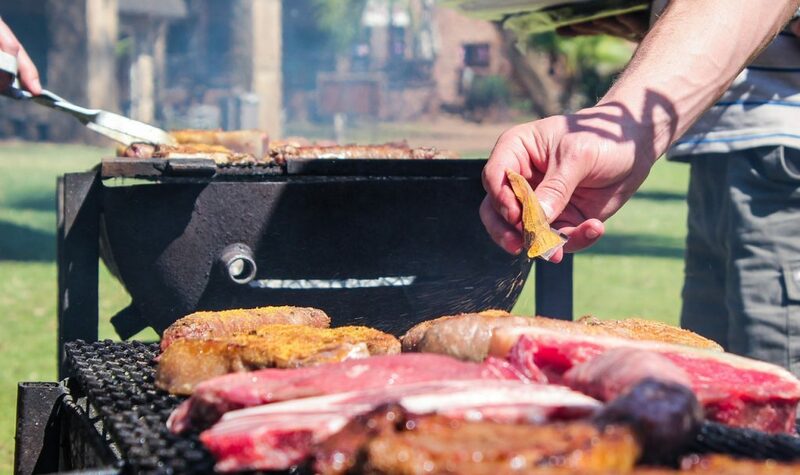 A charcoal grill that uses natural lump charcoal instead of the conventional additive kind is a great idea. Natural gas grills can be a bit of a problem due to the use of fuels, but they are still better than most grilling options. You can even use a corn-powered grill or a solar-powered one. Try being crafty and create your solar oven. With the current global water crisis, it is crucial for us to ensure water conservation at every level. If you have the resources, consider constructing an underground rain tank. You can also install a reclaimed water solution containing a drainage system to collect rainwater. This can be later utilized to feed your lawn. Another idea is to install butts on downpipes and use weathered oak barrels or tubs. Use cost-cutting irrigation methods – instead of using a sprinkler, invest in a DIY watering system that only waters the roots, or buy large pots for your plants as they don’t dry up quickly. You can also make changes to help reduce overall consumption of water. For instance, design your walkways and decks from durables pavers which can be easily cleaned by sweeping. Encouraging your children to spend time outdoors can be quite beneficial. You can motivate them to leave their tablets and iPads by creating a play area in the garden, but don’t forget to use sustainable materials. Some creative ideas are using rubber tires or rubber mulch as the ground cover. You can also improve your children’s scientific knowledge by creating an inquiry bag containing a magnifying glass, a bug catcher, and binoculars. 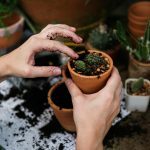 Get your kids to help with DIY upcycling projects or engage them in gardening; these are great ways of interacting with nature and reaping the health benefits it has to offer. Accent lighting is a great way to guide people to the highlight features of your landscape. Consider using earth-friendly lighting methods to create a green outdoor space as old fixtures use excess energy which can increase your bill. Instead of using these, invest in solar-powered lights. These will consume sunlight during the day and switch on at night. You can also replace old bulbs with LED lights that give off a brighter light and are much more energy efficient. You can use these to illuminate the walkways, landscaping, entryways, and garage and set-up the perfect ambiance for an evening meet-up with the guests. If you are planning an evening with candle-light dinner, make sure you consider the environment-friendly ones made with beeswax or soy wax and scented with essential oils. 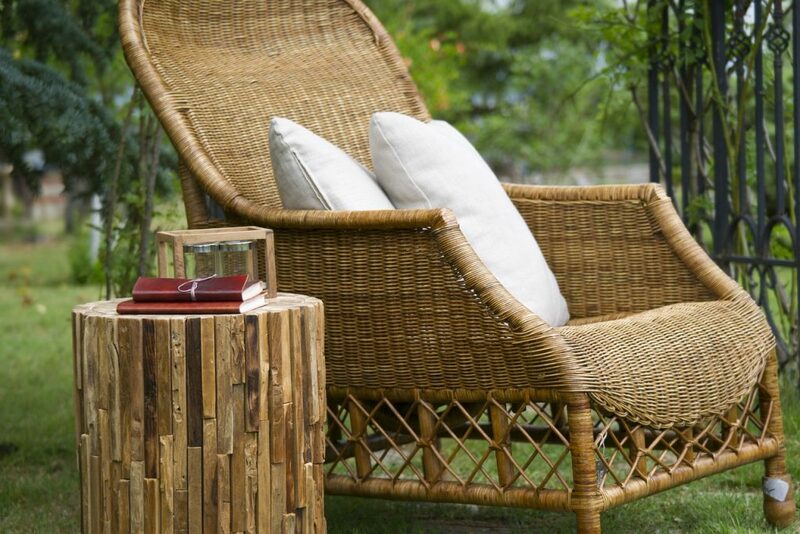 You can refinish old patio furniture or reupholster them with eco-friendly textiles. This way you will be able to save finances while utilizing old items that would otherwise have been useless. If you plan on being crafty then dig into your garage to find out things that inspire you. Do you have old beverage crates? Consider making a tray with a vintage touch. Found a colander lying in the kitchen? You can use it to create a hanging or window planter! 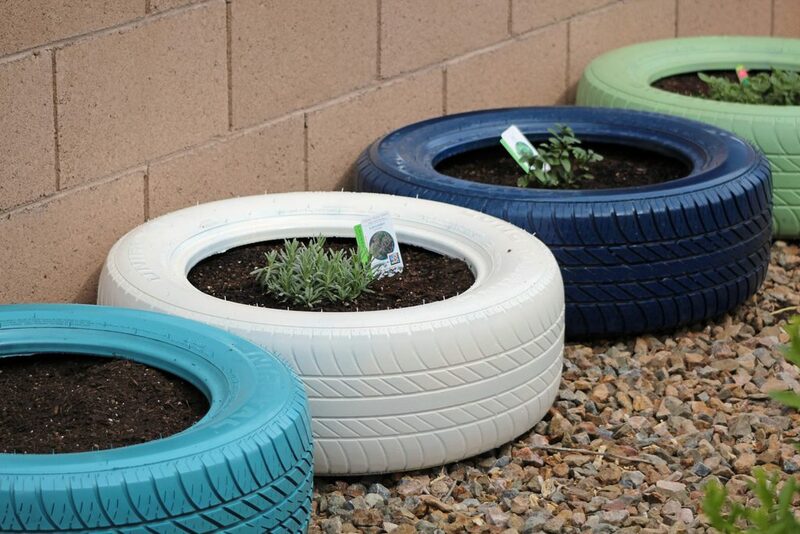 Old tires can be used to create a pathway, cans or tins can also be used to create planters, old jewelry, spoons, and decorations can be turned into wind chimes. And who doesn’t like the sweet sound of birds in their garden? Well, you can attract the winged travelers by creating a bird feeder, a birdbath or providing nesting supplies. Bird baths are also a great place for pollinators to cool down and drink. They’re perfect if you want to create a butterfly garden. Apart from using solar lights, step up your game and try innovative technologies to cut on your energy bills. A useful option is to install motion detectors which will only turn on the lighting upon detecting any motion – these work best with floodlights. Other smart options include controlling your home security and outdoor lighting systems via your cell phone or internet. 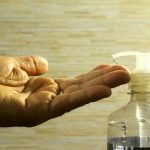 Instead of using cleaners filled with chemicals that are harmful to your family, pets and the environment, consider switching to natural cleaning products that are made of natural ingredients. You can create many of these at home by using items that are readily available or purchase the organic ones from the store. 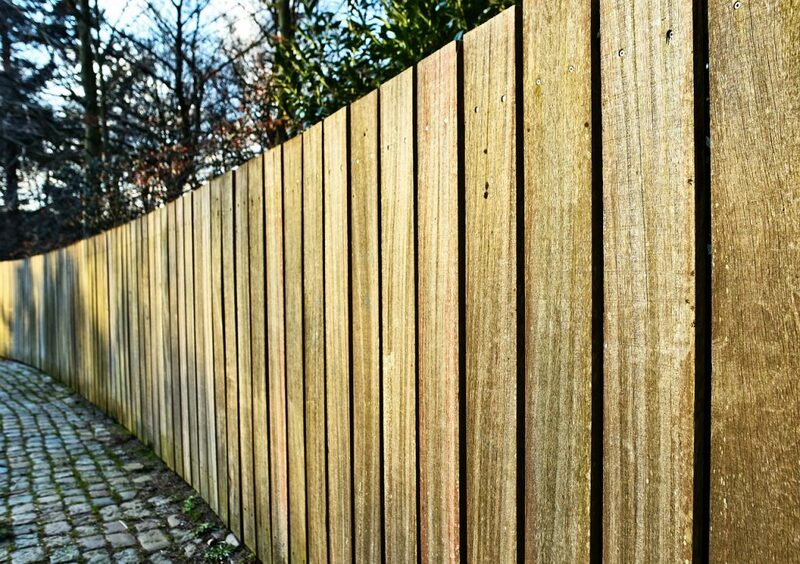 A fence is an essential part of any garden and can add to the aesthetics of your home and serve as a barrier between your neighbors’ and your house. If you are considering adding a fence or replacing the previous one, then think of all the earth-friendly options that you can use such as reclaimed wood. Some ideas may seem difficult to work on, but you can always start from somewhere. The smallest of change you make in your surroundings can have a significant impact on the environment, so let’s pick up our supplies and work together to make our earth “green” again. Danica Boyd is a bird enthusiast and nature lover. She has been keeping pet birds for several years and now has tons of practical experience in caring for birds. She writes for the team behind Bird Cages Now.